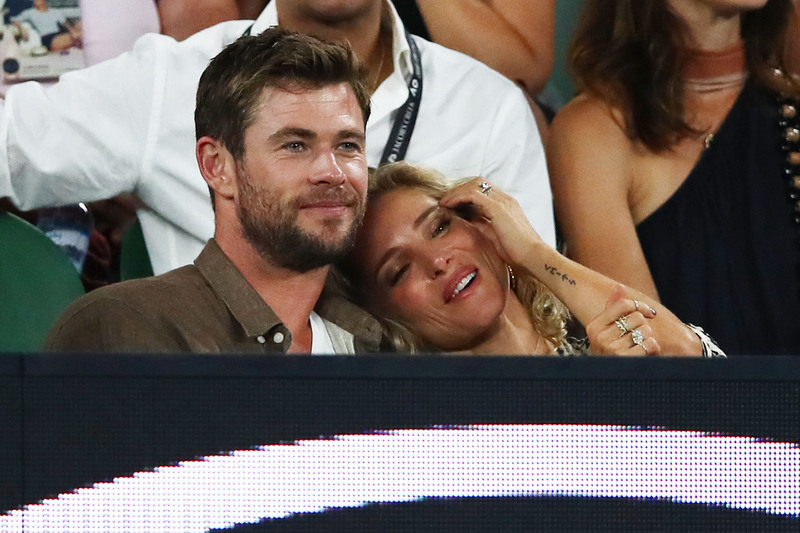 Chris Hemsworth’s wife, Elsa Pataky, revealed she had a Thor-inspired tattoo when she was just 15-years-old. And almost 20 years later, married Thor actor Hemsworth. What are the chances? Speaking in an interview with Vogue Australia‘s June 2018 issue, the Spanish-born actress showed off her tattoo – a symbol inspired by Thor, the God in Norse mythology. 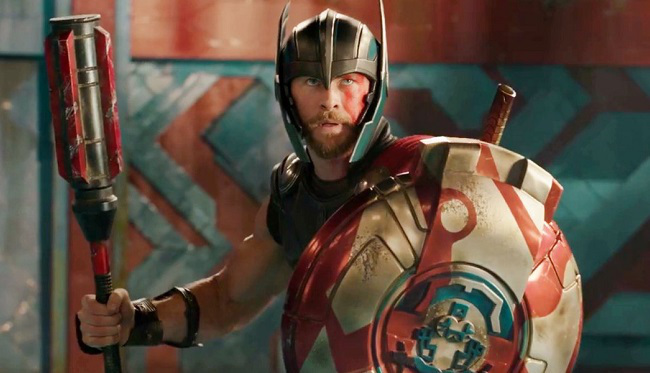 She told the publication she had the design inked on her bicep when she was 15, before Hemsworth became famous for playing the God of Thunder in the Marvel universe. Yes, it’s about Thor and I ended up marrying who plays Thor! It is shocking how things in life [turn out]. I just liked that [symbol] and the legend he had was so beautiful and I wanted to keep it. Elsa, who was in a relationship with actor Adrien Brody, for a number of years before breaking up in 2009, met Chris in early 2010 and married over the Christmas holidays at the end of that year. Elsa has a number of tattoos, a letter ‘C’ on her wedding finger, which was inked by Hemsworth himself – and she drew an ‘E’ on his. She has the symbols for each family member’s initials on her forearm, and three dots on her finger representing her close friends or ‘three best girls’ – which includes Matt Damon’s wife Luciana Barroso, who has a matching version. The couple are parents to three children – daughter India Rose, five, and twin sons Sasha and Tristan, four. We did everything very quickly – I don’t know how we survived as a couple. We were married and then a year after we had kids. It puts a lot of pressure on a marriage, but we came out good because there is a lot of love between us and we are very strong personalities but love each other so much. We make it work. So I think our years together have been great. Every marriage has ups and downs – it’s constant work to be in a successful marriage and stay together forever. Chris’s parents have been together all their lives, and that’s such a beautiful thing, and their families are so close. During this year’s Commonwealth Games, which took place in Hemsworth’s native Australia, fans were commenting on his mum and dad, who look just super. Hemsworth shared the photo of him and his parents, Leonie and Craig, from the stands at the games, resulting in his followers being all-too-kind. Chris is the middle of three brothers, all of whom are actors – older brother Luke, and younger brother Liam.